Why Lego bricks in the first place? 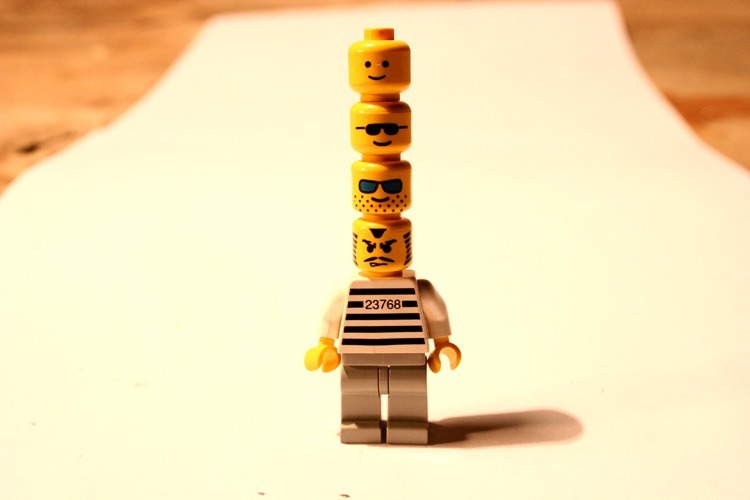 When first I was given a bag of Lego bricks, I was excited and nervous at the same time. Partly because I somehow thought my artistic skills were going to be tested. 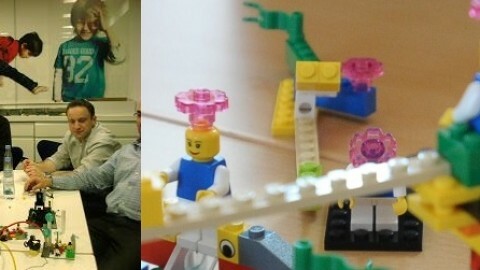 I was glad I was wrong in this (see more on our previous article on Scrum LEGO planning game). For those who are new to the concept or even skeptical about using Legos in a corporate environment, I’d like to share some of my experience learning the basic techniques at Lego® Serious Play® London mini MeetUp. Today most of our meetings and discussions are dominated by verbal and numerical formats. You’re probably aware that they don’t always lead to insightful and productive communications. But what about other underexplored ways of conveying important information that help unlock new business opportunities and innovations? Warming up 1 – get to know Lego! 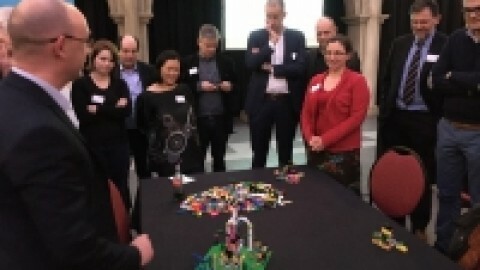 Firstly each of us was asked to build a tower using either orange and green lego bricks. 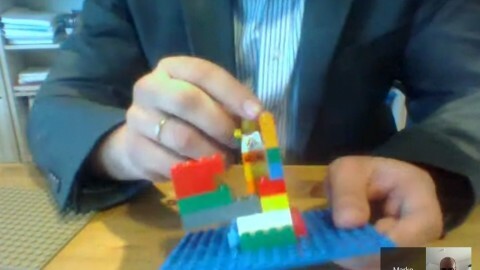 Interestingly none of our Lego towers looked the same. Warming up 2 – Assigning a symbolic meaning to objects. We can give our bricks any metaphors and symbolic meaning. 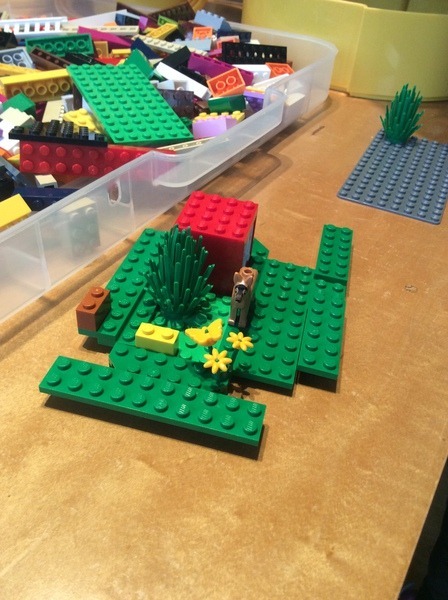 No matter how complex your idea may be, a Lego model, with your own twist, can represent an idea, meaning and even a metaphor. Basically anything you want to express. 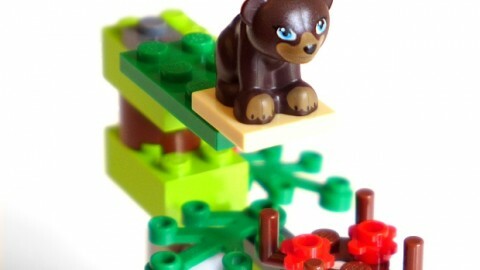 For example, we were asked to construct anything we wanted using several bricks. Then each of us picked a card with random terms and names written on them. My card said ‘Explain this! – Your model was meant to represent ‘Marriage”. Now this is getting interesting. I just built something that was meant to mean marriage. OK, let’s see. My model is colourful, weird-looking and unstable. Well, a marriage can be unstable right? The point is – my thoughts and imaginations don’t have to be restrained by the given forms and shapes of bricks. And why is this so significant? This will become clear later.Task 1: Build a model to show your vision of the UK in 5 years time. 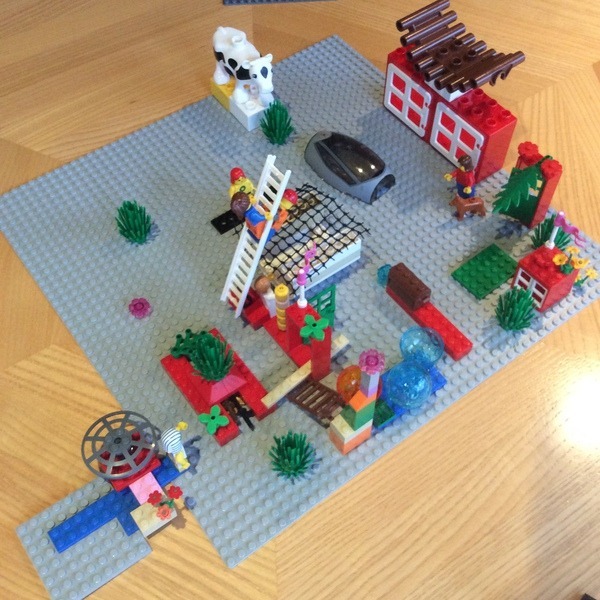 Task 1: Build a model to show your vision of the UK in 5 years time. We each picked a political party and build a model based on our ideology and vision of the UK in the next 5 years. Our final models differed in shapes, characteristics, and appearances. While some of us focused on building a model around affordable housing, others created a much greener vision of the UK. 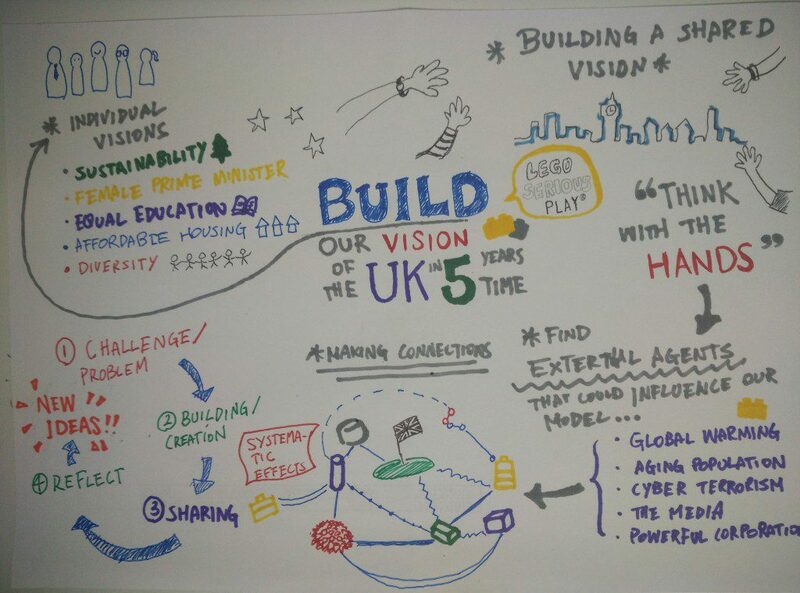 Task 2: Pool everyone’s visions together and create a shared model of the UK! 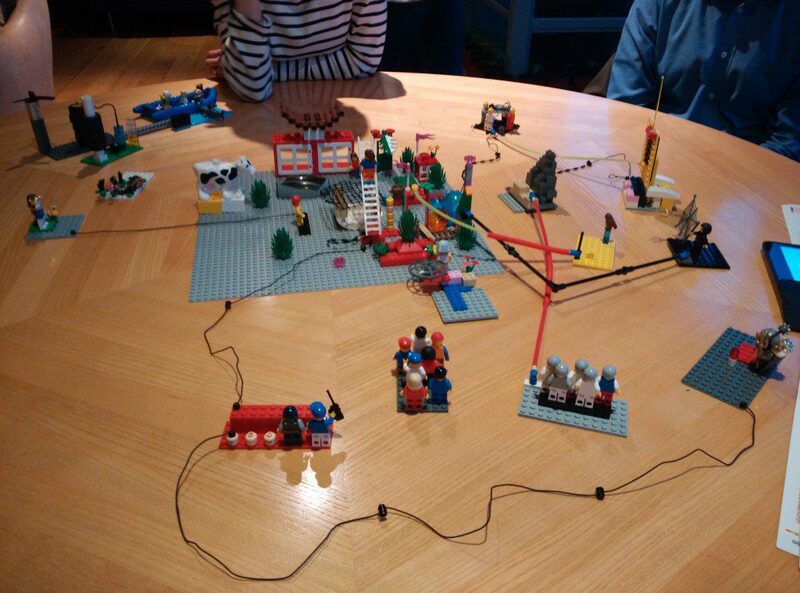 We then picked the priority feature from each of our models and pooled together to create a shared model of the UK. The result was: A pro-EU Britain governed by a female prime minister that is diverse in culture and equal in social and economic opportunity. Education is embraced and the military is renounced while housing, technology, and industry are geared toward sustainable and environmentally friendly manner. 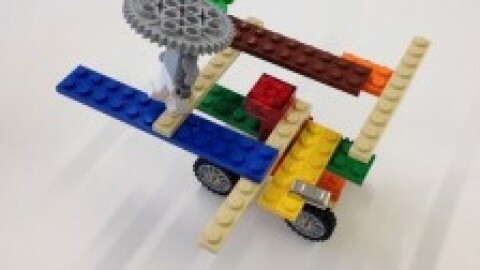 Subsequently each of us gave a small presentation on our model to the facilitator. This is where it got even more interesting, as everyone had a subtle difference in framing our stories and our ‘product’, reflecting our personal views. Despite we used common phrases such as harmony or sustainability, some presentations had more focus on foreign policy while others on the female prime minister (with an emphasis on female). Task 5: Create external forces/agents that could potentially influence our model of the UK. The examples include cyber-terrorism, aging population, climate change, the media, changing monarchy, etc. Task 6: Make links and connections! Then we positioned them in relation to our shared model of the UK according to the degree of impact and importance. So we placed the media and banking sector in close proximity to the country’s education and monetary departments. 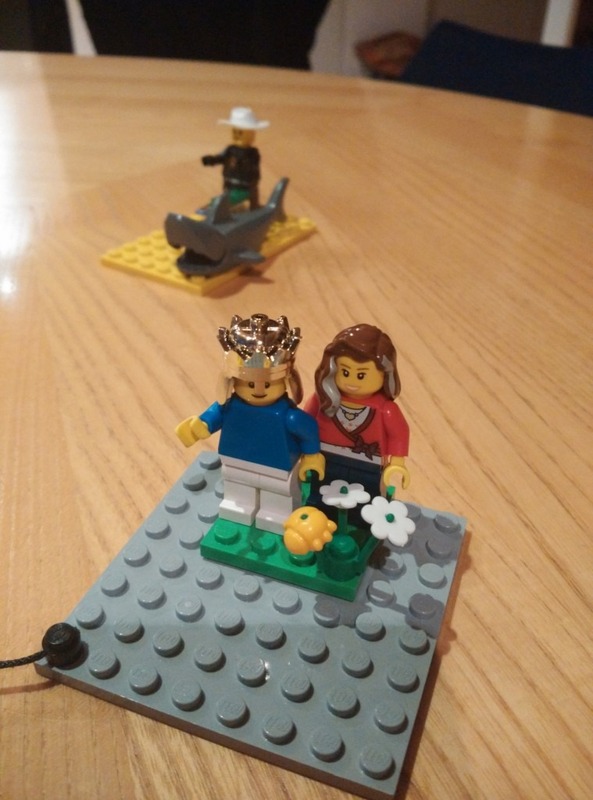 Later we linked relevant agents with Lego chains and strings, each representing different degrees of the connections between different agents. As we moved one agent, we could see how an agent would have an impact on other agents. Some direct, others indirect. Some predictable, others less so. When focusing on one aspect, the details tend to blind us to the picture. However, the connections we made between agents allowed us to see the model’s ‘systemic consequences’. 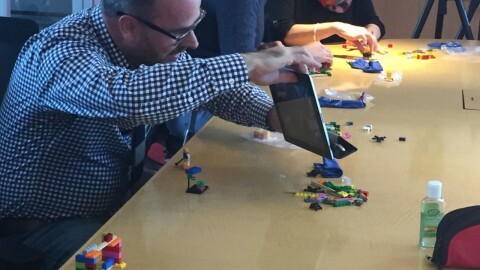 – Not to mention that Lego is fun, the blocks also enable us to create anything that we want to communicate in a very effective way. 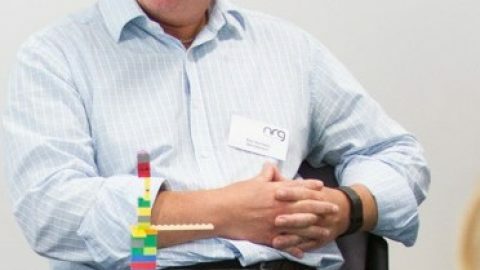 Without the need for any technical skillsets, this method can be an alternative way of solving a shared problem, strategy developing and practicing creative thinking. .
– Using Lego makes us think with hands, linking our mind and our body which make communication better (visual, visceral and somatic!). This is much more inclusive and collaborative rather than a regular meeting where ‘talking’ by few people likely to dominate. 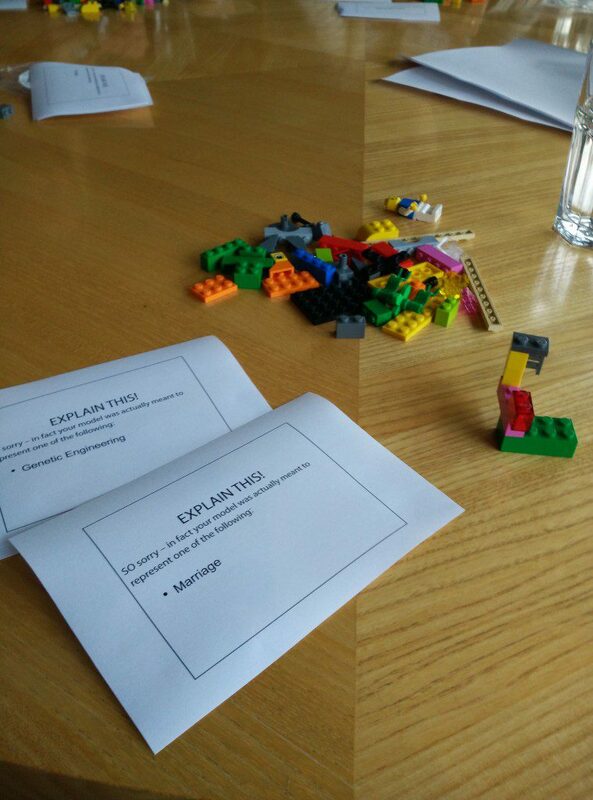 – Visual and tangible Lego models enable us to remember and memorise a broad range of data more efficiently. – It helps you ‘think before speak’, making a conversation more meaningful and a meeting run more smoothly. 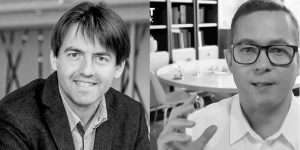 – No one works in isolation in a company or organisation. Team building is even more effective by focusing on developing a shared identity and vision. 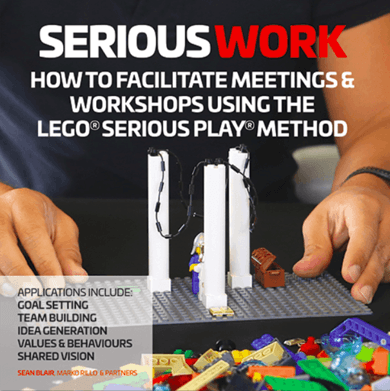 Lego® Serious Play® allows a better and deeper understanding of the team, reducing the risk of costly mistakes resulting from miscommunications. 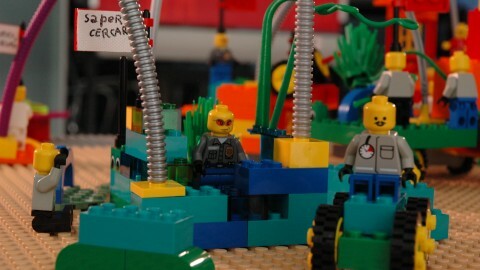 Lego can incubate new ideas or even solve problems. And, gone are the days of dull excel-dominated team meetings!